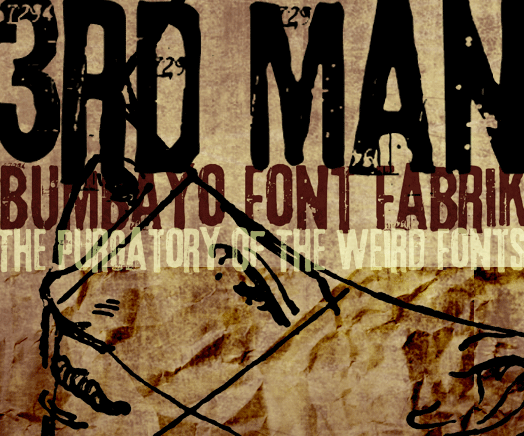 3rd Man font by Bumbayo Font Fabrik. This is the Grotesk font made by Bumbayo Font Fabrik. Use it for all your creations! Version 2 — Added some new glyphs. © 2007, 2016 Some Rights Reserved.